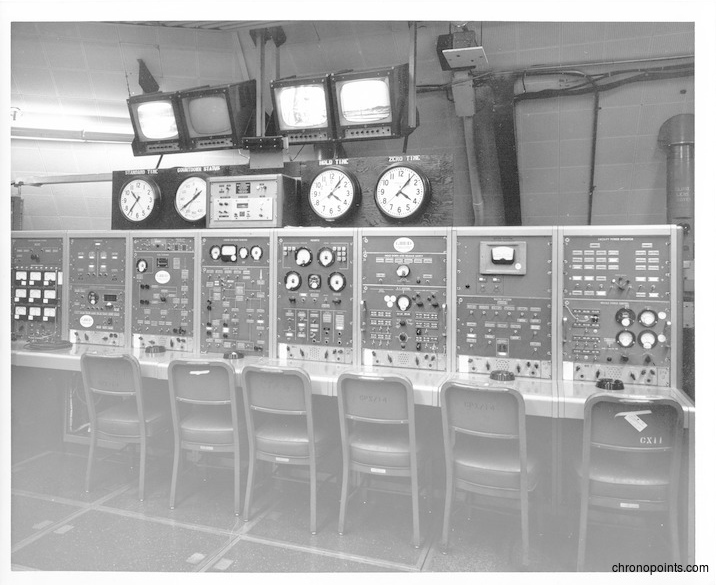 During a launch of a Mercury-Atlas mission, these workstations were occupied by workers who monitored critical systems on the rocket and maintained lines of communications with essential locations around the world. Instead of digital readouts and big screen displays, this equipment used various gauges to display readings and dials and buttons to adjust equipment and the rocket. The monitors above the workstations allowed for a video feed on the launch vehicle at the Cape Canaveral Air Force Station (Cape Canaveral AFS) Launch Complex 14 (LC-14) blockhouse. 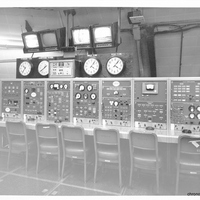 “Launch Control Room at the Cape Canaveral Air Force Station Launch Complex 14 Blockhouse.” RICHES of Central Florida accessed April 20, 2019, https://richesmi.cah.ucf.edu/omeka/items/show/4979.